Stephanie Hicks is raising four teenaged children and is an amateur photographer. I love sharing teenage ideas with my readers. This Hub isn't a plug at all for Prinstagram, but I have to say that I am so amazed by their site. The photos arrive within 2 days of ordering and are printed on cardstock. 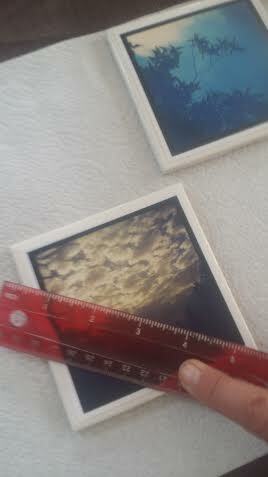 I bought 4x4 Instagram prints, which were exactly the right size for the coaster project. I also ordered some 4x6 prints from my Facebook page, which are of such high quality, I can use them as postcards. 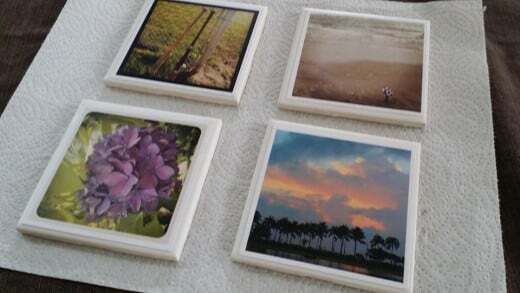 My only dilemma is how to part with my printed photographs, let alone my completed photo tile coasters! And now, I am ordering additional photographs for future projects, as well. If you are like me, you probably have taken hundreds of cell phone photographs, which have never seen the light of day. I did some additional research and noted that there are a number of different ways to create these personalized photograph keepsakes. As I shopped for the supplies and reviewed a variety of suggestions, I decided to make this project my own - following some of the advice, and disregarding other tips. The end result is amazing! My kids are thrilled to have their images on the photo tile coasters. We have memorable gifts for Mother's Day, school teachers and - of course - grandparents! 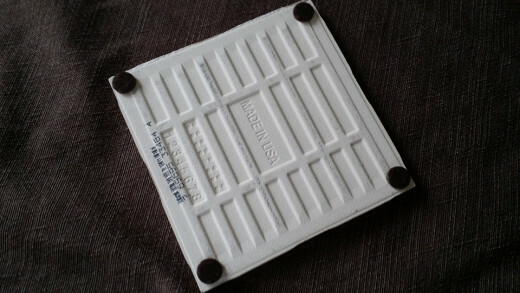 We store our personalized tile coasters on the lower shelf of our coffee table for easy access and use. 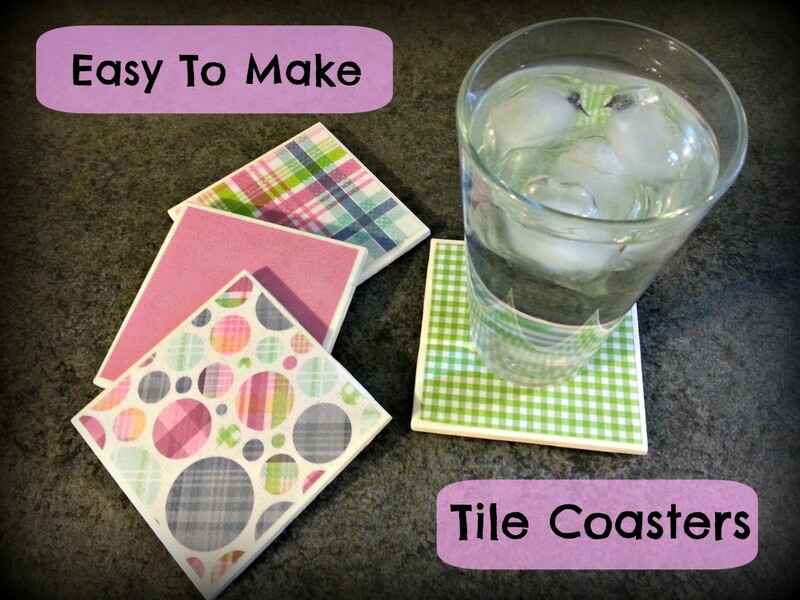 I always get compliments on the coasters and questions on how to make them! 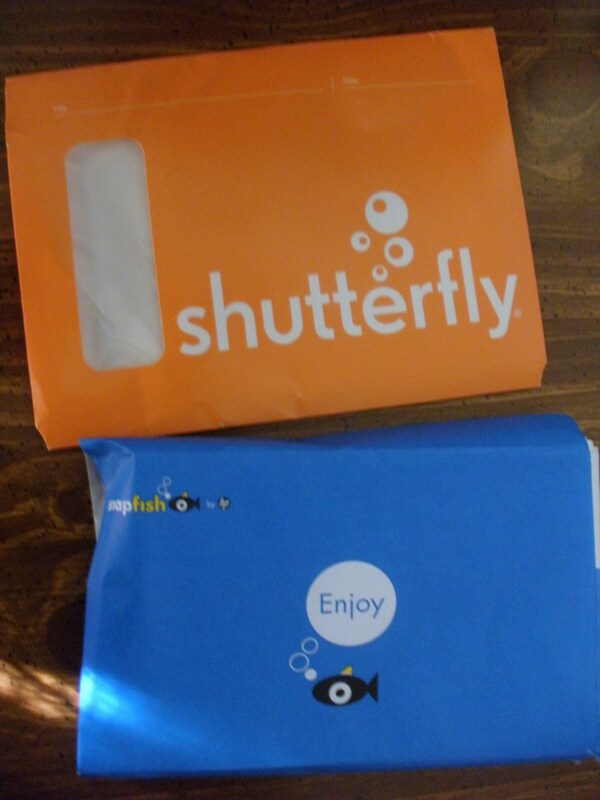 **Note that you may also order Instagram prints from sites such as Shutterfly and Foxgram.com, although I have not personally used their services. I have not been compensated for any comments or opinions concerning any services reviewed in this article. 5. 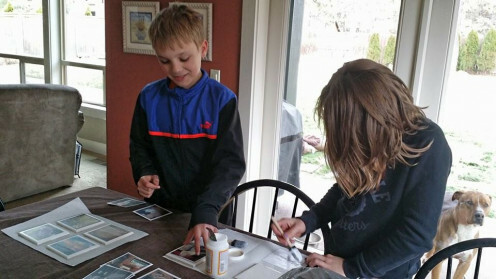 With a sponge brush, lightly apply Mod Podge to the entire back of a selected photograph, focusing on the edges and corners, and position on the top of the tile, face up. 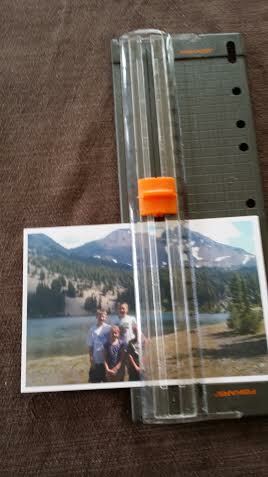 Minimize bumps and excess adhesive by pulling a ruler or credit card over the top of the photo; remove any glue on the edges of the photograph. 6. Allow tiles to completely dry for at least 30 minutes, then apply a light, thin layer of Mod Podge over the top of the tiles and photographs. 7. When the first coat is dry (approximately 1 hour), apply another coat, allow to dry again, and repeat 2-3 times. What Photos Will You Use for Your Coaster Project? Are you Inspired to Be Creative with your Photographs? What Happens to the Digital Photographs You Take? 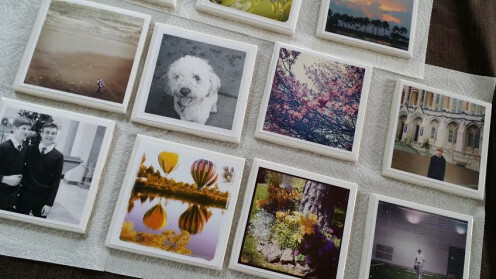 Through trial and error, we learned a few things that will help your photo tile coasters look the best! First, use fresh, new Mod Podge. It's a waterbase sealer, glue and finish. Like other similar products, the quality deteriorates over time. Mod Podge is relatively inexpensive and can be found at just about any craft store for about $5 for 8 fluid ounces. Second, don't over-saturate your sponge brushes! Remove excess fluid before applying to prevent bubbles and streaks. 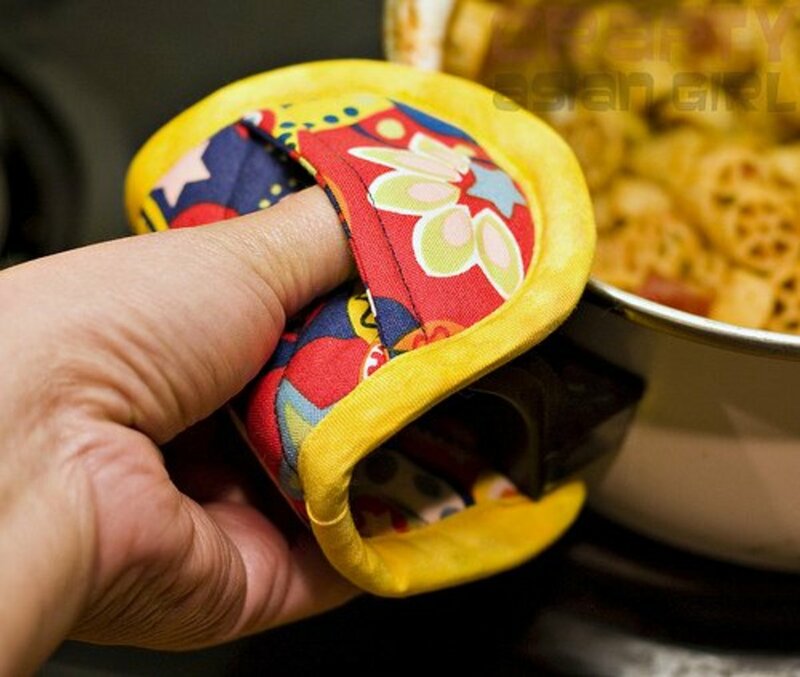 Between coats, be sure to rinse thoroughly and allow to dry. Also, make sure the cap to the Mod Podge is securely tightened. Third, when originally applying the photograph to the tile, use a ruler or credit card to carefully pull over the top of the photo from left to right, and then top to bottom. 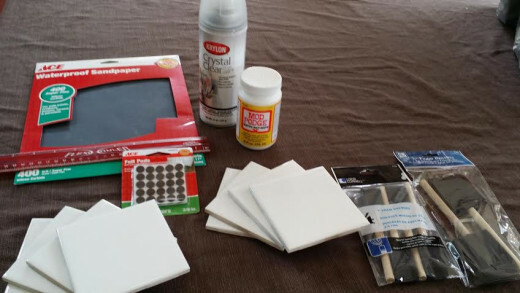 Any excess Mod Podge that is pushed to the edges of the tile should be immediately wiped with the sponge brush to remove. Fourth, when applying Mod Podge coats, use light, even strokes in the same direction. This way, even though it will appear cloudy/white when you initially apply, it should dry clear. Fifth, allow each coat to fully dry before applying another coat, at least 1 hour for the first coat, adding an additional hour to dry for each additional coat. 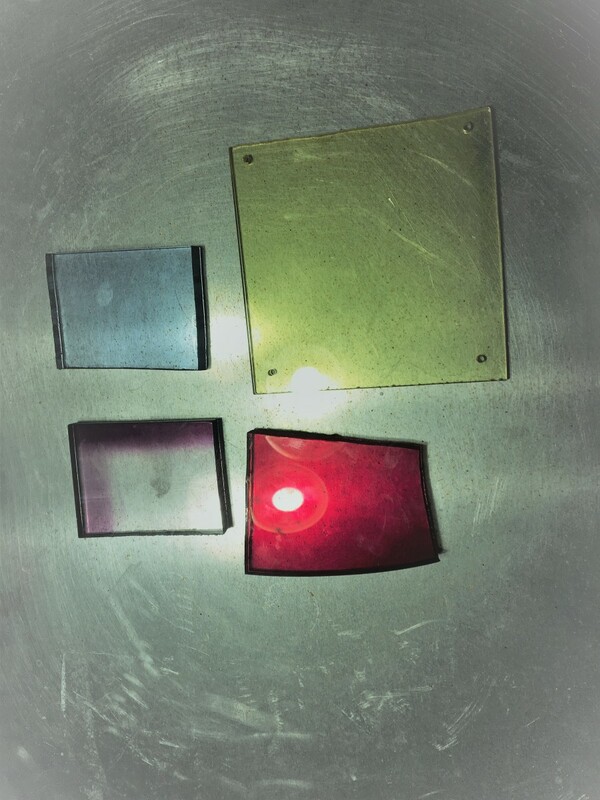 Do not apply acrylic coating until the photo tiles have dried overnight. Finally, using superfine sandpaper over the top of the tiles when finished is optional. We think that the finished product looked shinier and more impressive! 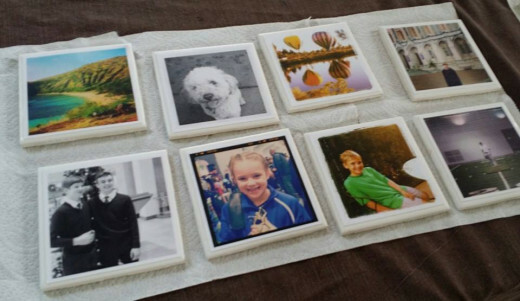 Enjoy Your Photo Tile Coasters or Gift Them! We made about 20 tile coasters with our Instagram photos in a single weekend. I'm keeping 4 of them for our family and we will be giving the others, in groups of 4, to my in-laws, parents and sisters. Be very careful in transporting the tiles, as they are quite breakable. If you are giving the coasters as a gift, be sure to carefully wrap each one in ample tissue paper, individually, before placing into a gift bag or box. My mother has already requested her own instructions for making photo tile coasters, so you may wish to include a note with this URL for your gift recipient's reference. Let me know in the comment section below if you create the photo tile coasters, and how they turned out! 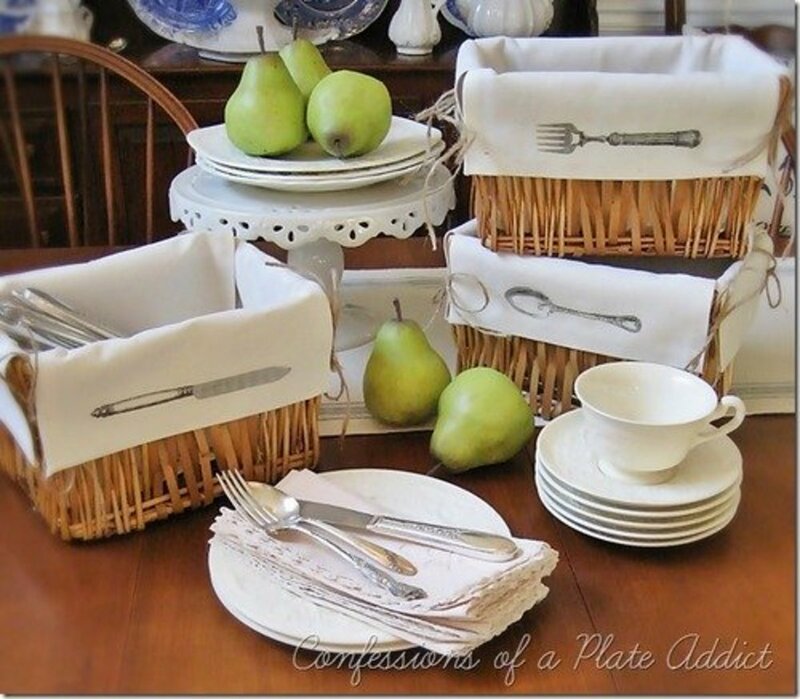 Great idea for gifts! Thanks for sharing. Love this idea, Steph! I've been playing around a lot with the camera on my cell phone to get pics for HubPages and my blog. There are certainly a few of those shots that need to be printed, and incidentally I could use a new set of coasters. Great project, terrific instructions! Reminds me of my Cub Scout den mothering days. I like this because I have a lot of photos from my summer vacation that I want to put into a photo album or collage. 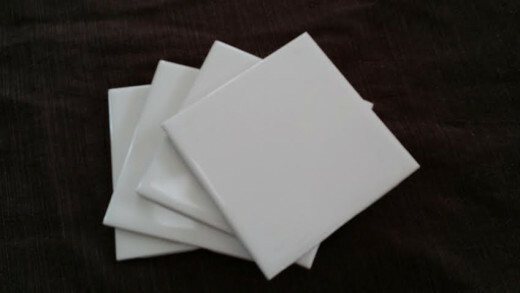 I like this photo tile coasters. I just remembered my daughter-in-law has some wood coasters in her yard sale. I think I'll go get them and try this on wood. Enjoyed your hub thanks for sharing. Voted up. Wow! 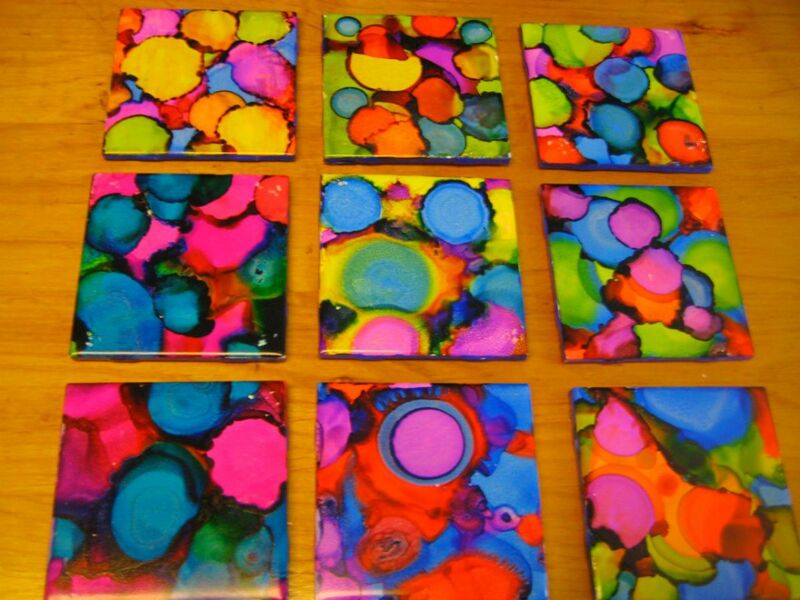 These coasters look awesome, sound easy to make and compared to the $20 to $30 per set of 4 costs of similar coasters in gift shops, are a real bargain to make. Your directions are very clear and I like the tips you provided. I have been wanting to make these, so glad I found this hub thank you so much. I have some awesome photos I can use especially floral and lighthouses, so excited. Thank you again - I will share this hub with others as well. This is a great gift idea. I thought about maybe using Facebook photos that my friends have and putting them on the tiles. This is way cool Steph! I tried making some photo coasters before but I used cork board. However it was rather hard to trim the board perfectly. Maybe I should try the tiles as you used here. Thanks very much for sharing! Rated up, useful and beautiful! You've got me thinking about making these with mini art prints--thanks! 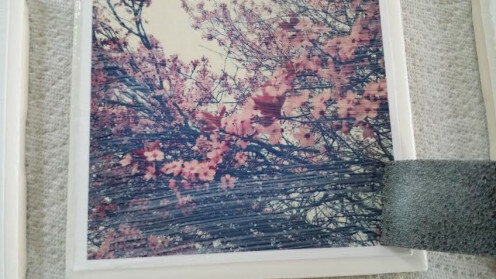 Thanks, too, for sharing re your Printstagram experience. Thank you! I appreciate the read, comment and pin. 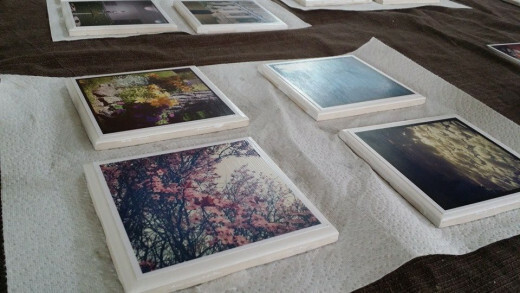 I'm very excited to make more of these photo tile coasters. They turned out great! Very cute idea. I like anything that includes getting photos off the computer and back into our lives. Memories are made to be relived! Pinning this onto my Crafts board! hahaha Bill! :-) Yes, full of surprises. I love photography and this project was right up my alley. Super easy, by the way. Just like building those $1 greenhouses of pallets! I had to check to see if that was really you writing this. LOL You are just full of surprises, aren't you? Nice craft project here; still way beyond my capabilities, but I know some people who will greatly enjoy this. Nice job, Steph!